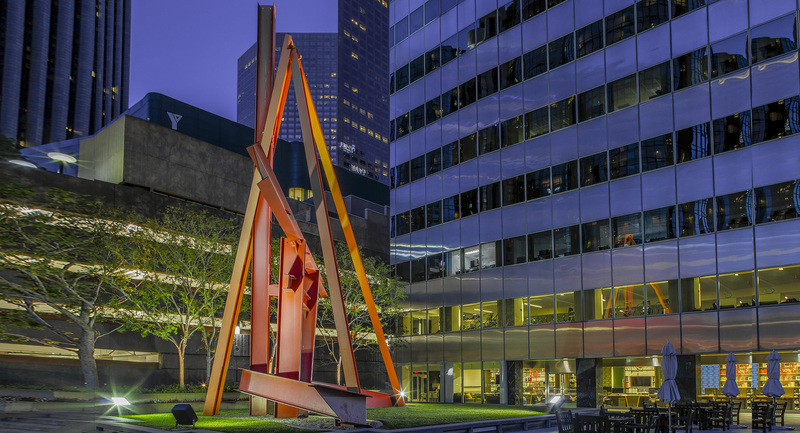 1982, Mark di Suvero Painted steel I-beams. 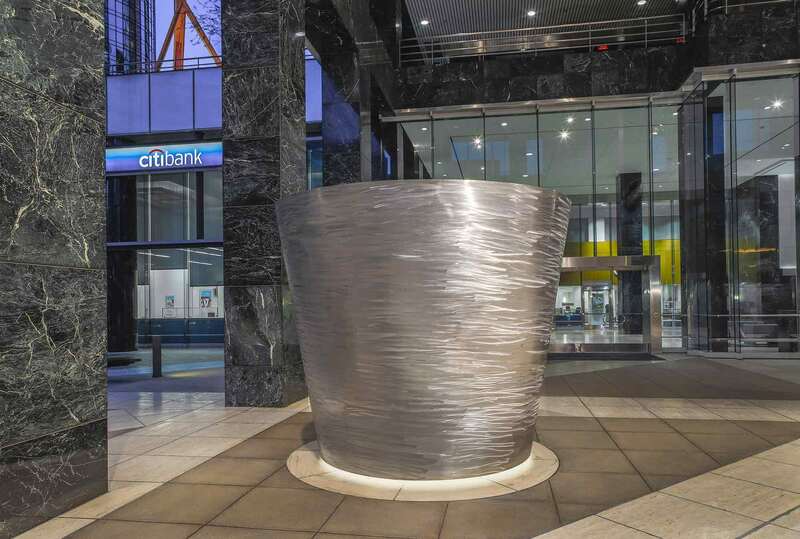 Weighing 25 tons, this monumental work rises from Citigroup Center’s 3rd floor terrace. 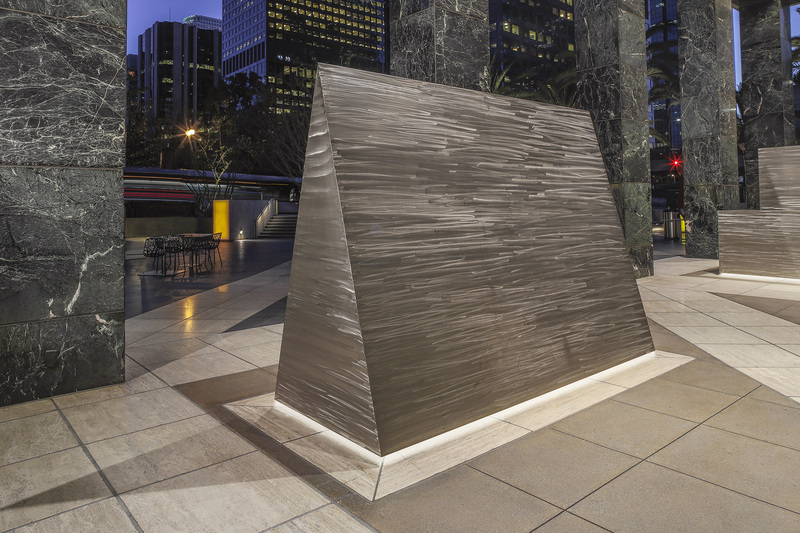 1981, Michael Heizer Burnished stainless steel. 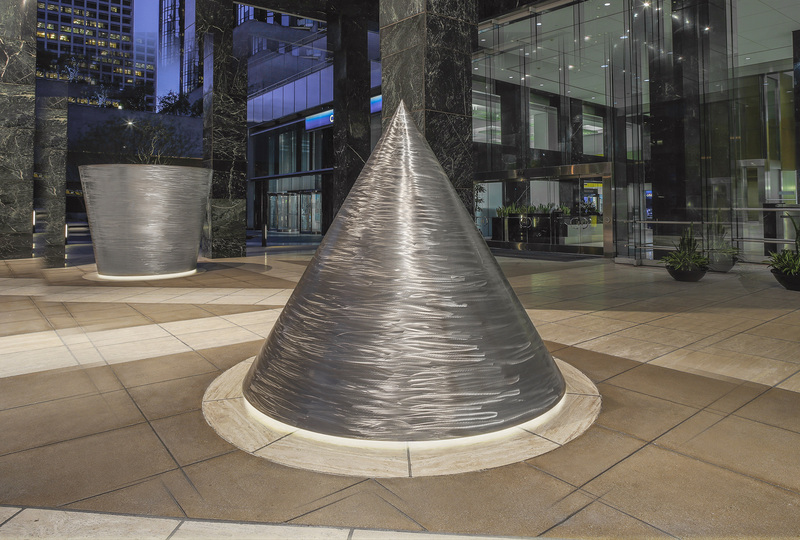 “North” (two rectangles), “East” (reverse cone), “South” (upright cone), and “Wedge” (wedge) break up the rectangular forecourt of Citigroup Center’s street-level entrance. 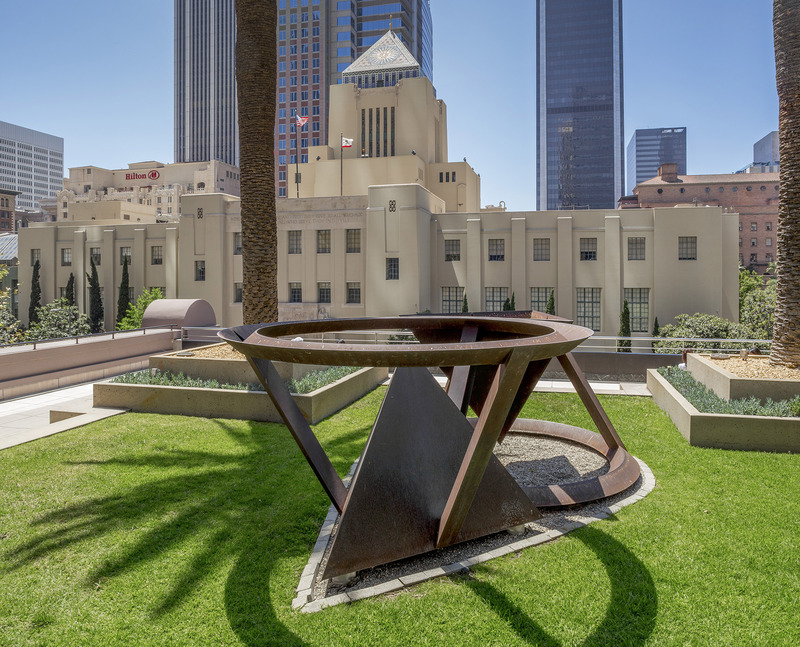 1982, Bruce Nauman Steel. 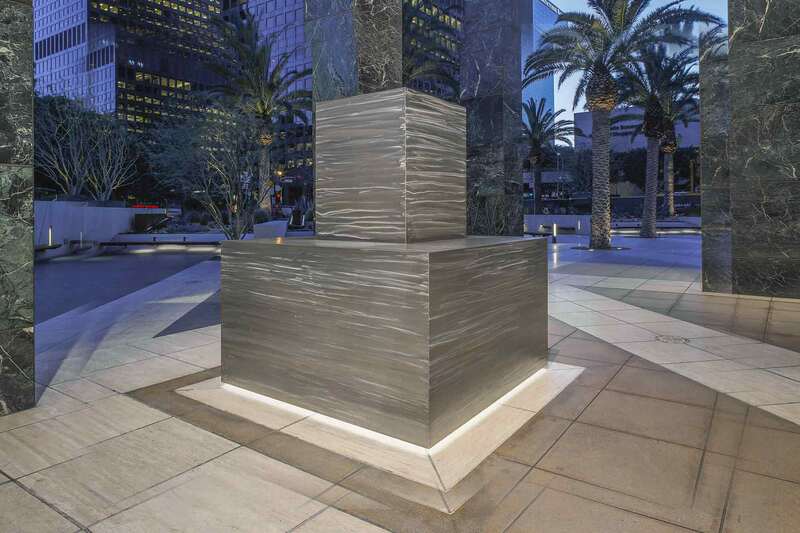 Located on the upper plaza level, it faces the DTLA public library. 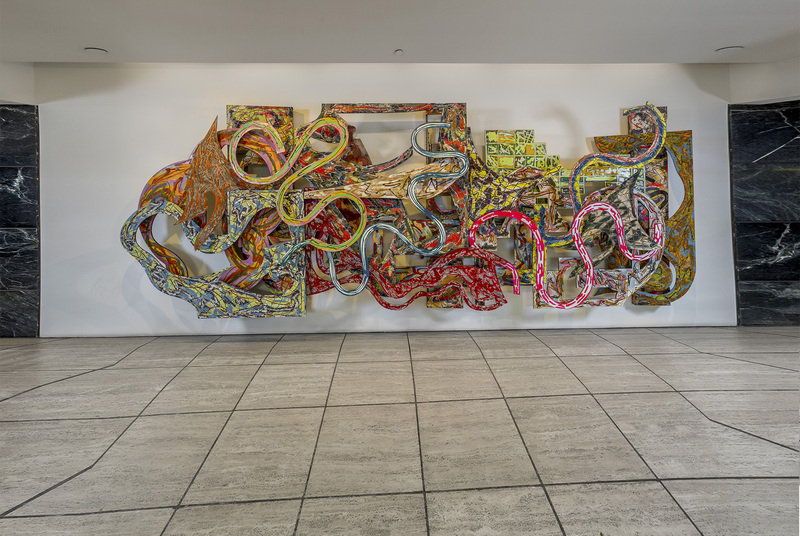 1982, Frank Stella Honeycombed aluminum and fiberglass panels. This wall painting, one in a series named after auto-race tracks, is installed at one end of the Main Lobby plaza. 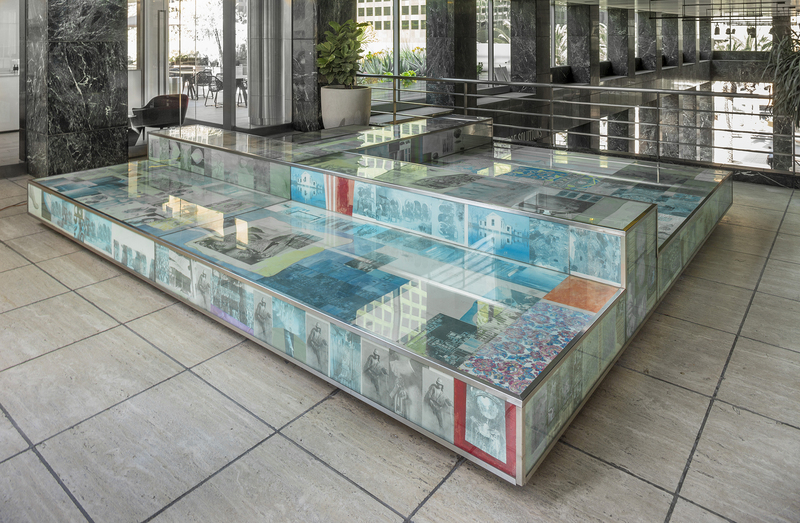 1982, Robert Rauschenberg Mixed media encased in laminated, tempered glass. 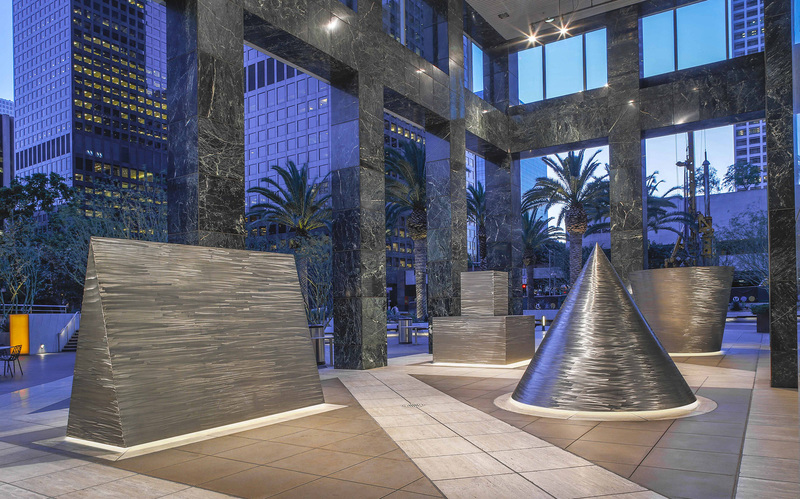 This work is located on the 3rd floor galleria level.